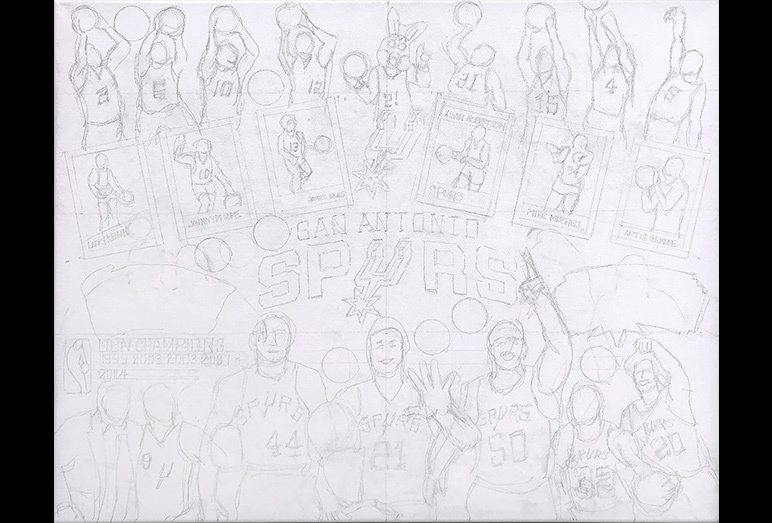 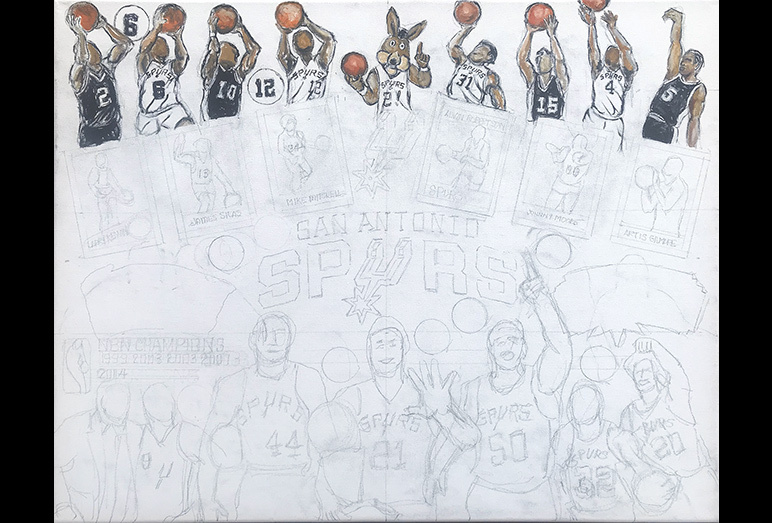 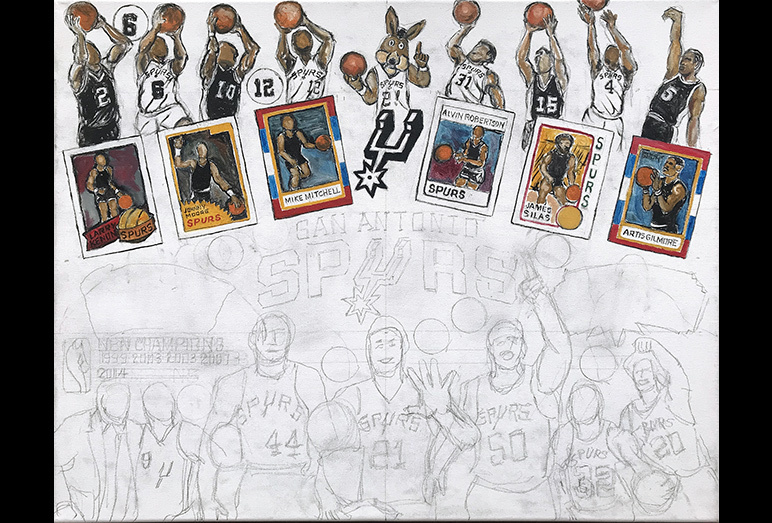 San Antonio Spurs Tribute -- Painting Progression -- Use controls to view all images. 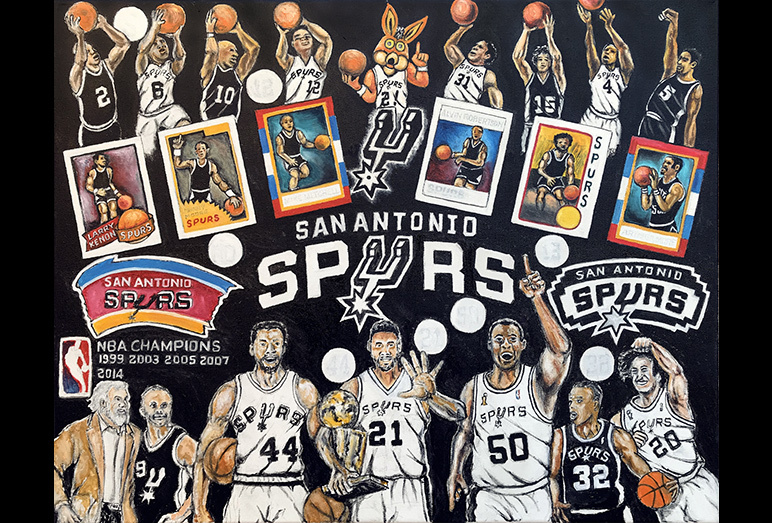 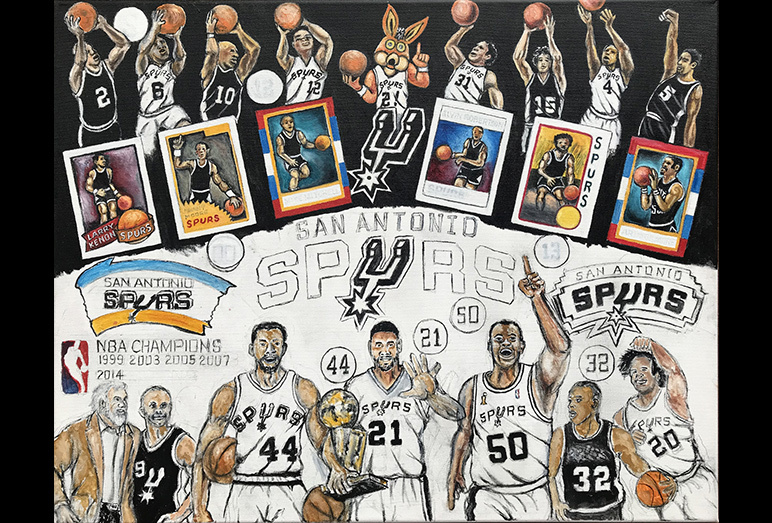 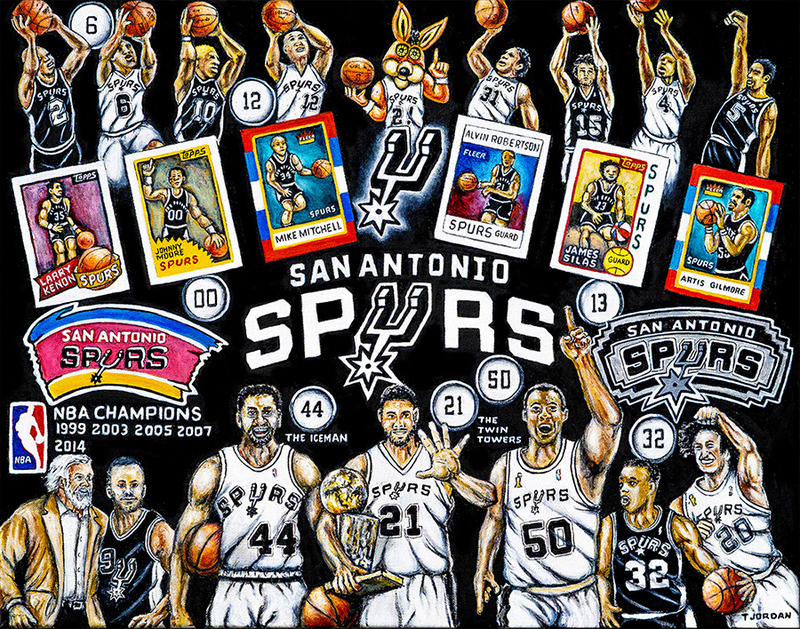 Tom has finished work on another great tribute to the 5 time World Champions, San Antonio Spurs. The Spurs' five NBA championships are the fifth most in NBA history and they currently rank first among active franchises for the highest winning percentage in NBA history. 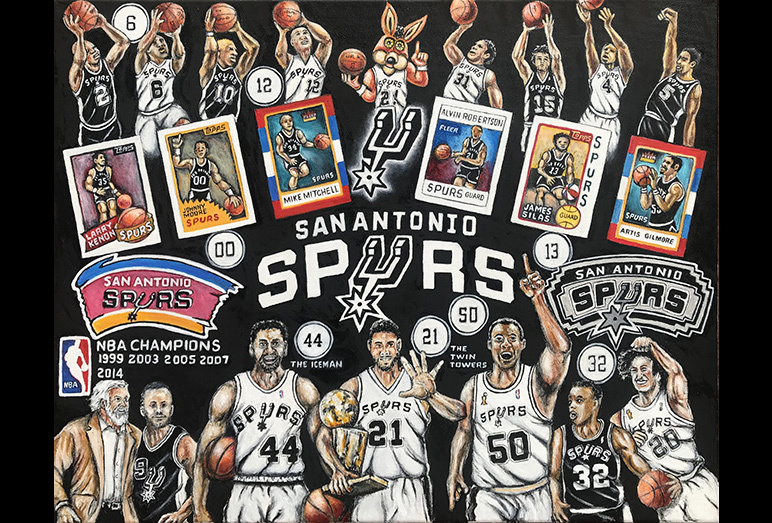 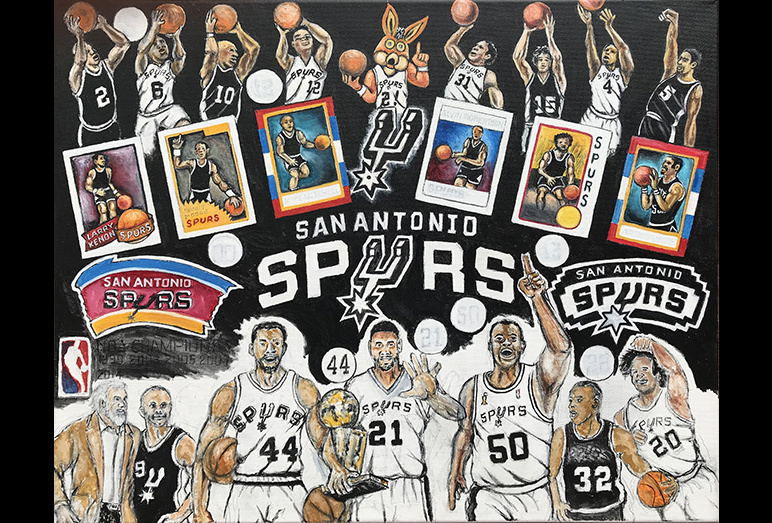 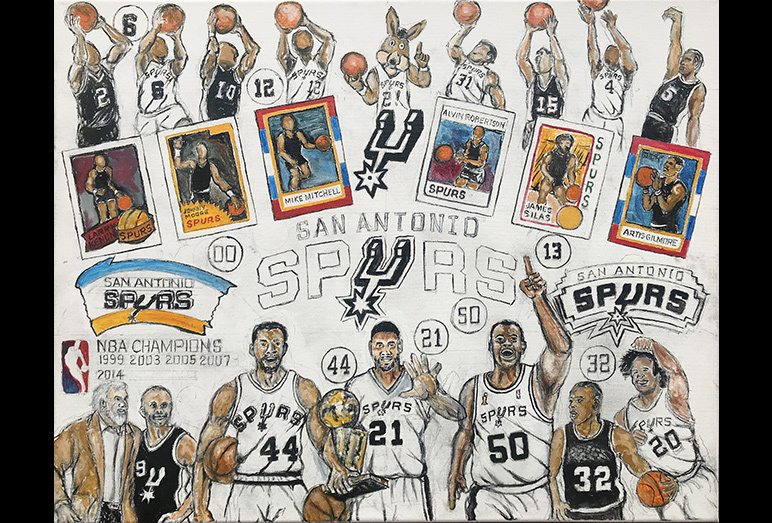 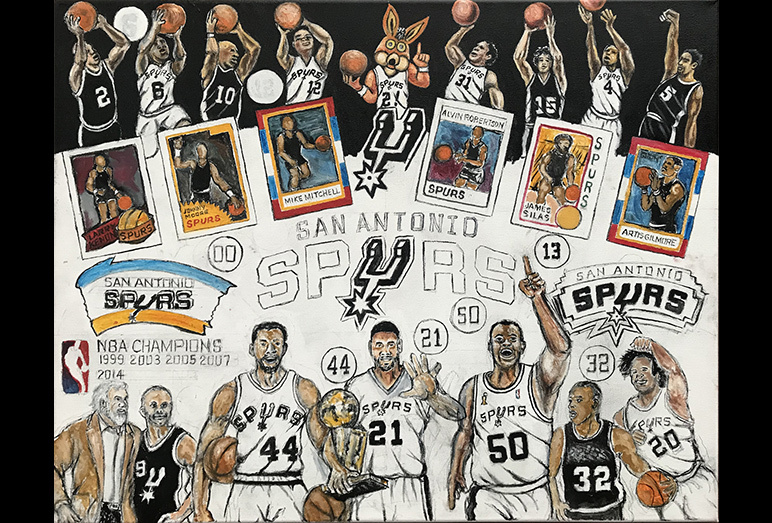 With a highly passionate fan following in San Antonio, this San Antonio Spurs Tribute is surely an exciting new addition to Tom's gallery of Sports Team Tributes.